Small is mighty. Tiny is powerful. Simple is awesome. 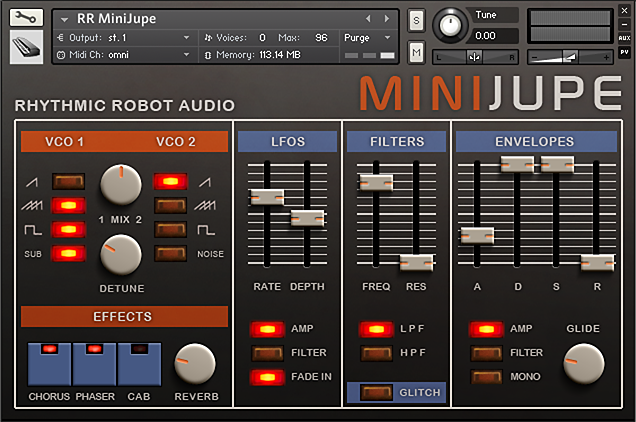 MiniJupe takes the gut-whacking weight and smooth creamy highs of Roland’s Jupiter 6 and packages them in a fresh, easy-to-use one-pane interface that just loves to be tweaked. Approachable and fun on the surface, but seriously capable underneath, MiniJupe harnesses several key waveforms from the Jupiter and presents them in a twin-oscillator architecture. Saw, Square, the combined Saw+Square (a very useful hybrid wave) and a stacked, detuned SuperSaw are available from both oscillators (and can then be detuned for really thick sounds); Osc 1 also offers a triangle sub-oscillator pitched an octave down for instant hefty bass, while Osc 2 breaks from the Roland tradition and gives you Scale Noise: okay, that’s a Korg speciality, but it’s so musically useful we felt compelled to add it in instead of the more authentic white noise. The twin oscillators are combined and fed through both high- and low-pass filters; there are LFOs for both filter cutoff and amplitude, for cool tremolo and wah sounds; and there’s full envelope control of the amp and filter circuits. Envelope and LFO controls both benefit from a neat switching system that allows you to view the control set for Filter or Amplifier, which keeps everything a click away on one panel while still offering ‘big synth’ levels of precision. Still more fun comes courtesy of the Effects section, which has simple one-button switches for Chorus, Phaser and Cab (each of them carefully selected and tweaked to suit the MiniJupe‘s sound) plus a convolved Lexicon Reverb, ideal for adding some space and sheen to the sound. 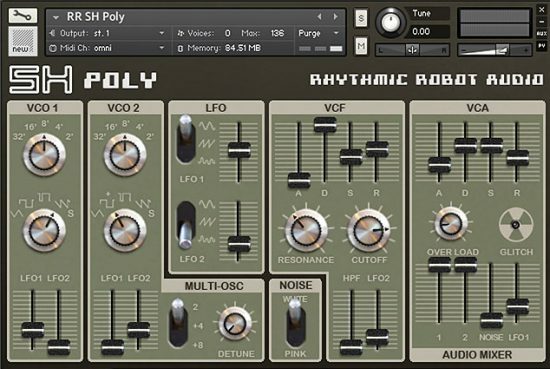 Rounding things out is our signature Glitch control, which randomises all the settings for instant patch creation – but in a musically-intelligent way. If you’ve met this before it really needs no introduction, but if you’re new to Glitching, it really is the coolest way to find starting points for new patches. (All our Kontakt instruments require a full copy of Native Instruments Kontakt v4.2.3 or higher (including all versions of Kontakt 5). Kontakt Player is not supported: instruments will load, but will time out after 15 minutes. See the FAQ for further information.) 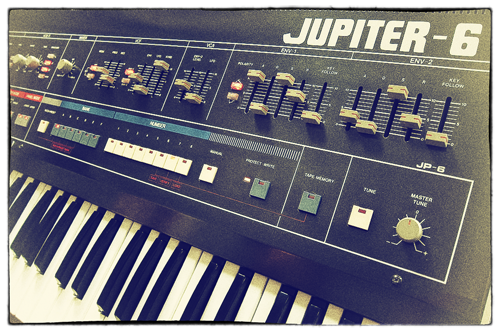 You can read more about the original Roland Jupiter 6 here. Great! Like most of RR’s instruments, this just oozes analogue warmth and grit. Careful with those levels, this beast can really roar! 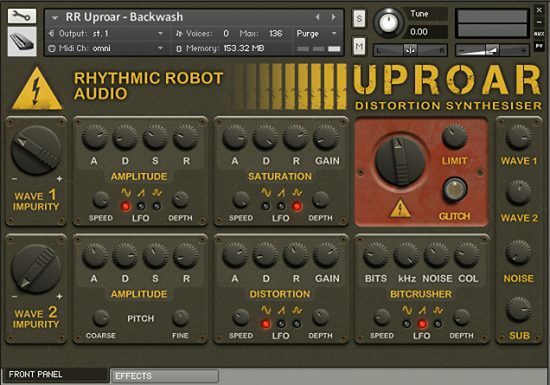 Amazing synth! Really warm sounds. 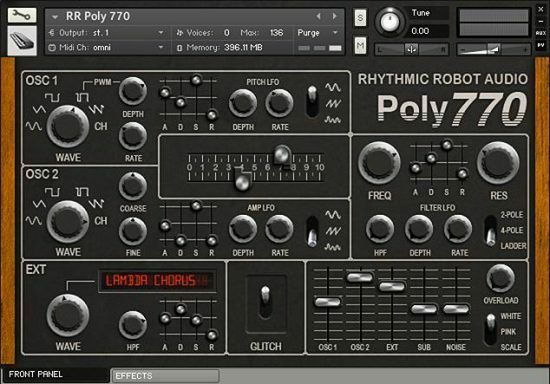 Incredible synth! 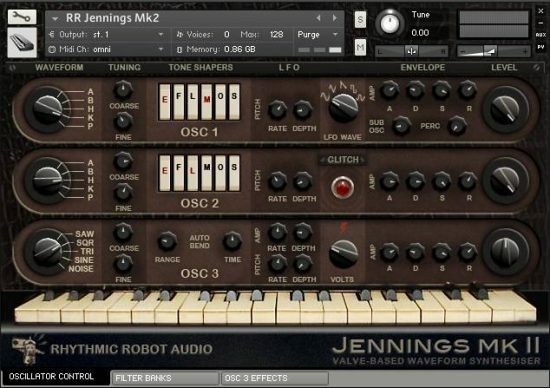 Does a wonderful job emulating the Jupiter’s classic sounds, sounds just like the real vintage thing!